Custom designed and built with full brick exterior. Located in prestigious Westbrook meadows, this 1,753 sq/ft bungalow offers scenic views of the ponds & green space. Solid hardwood & cork floors throughout the main floor, 2+2 bedrooms & 3 full bathrooms. Large foyer leads to beautiful bright living room w/linear gas fireplace. Well thought out kitchen w/gas range, breakfast bar, walk-in pantry & tile backsplash open to dining room w/access to 30ft x 12ft deck to enjoy the scenery & sunsets. 2 large bedrooms up including the master w/walk-in closet and 4-piece ensuite w/soaker tub & shower. Main floor laundry/mud room. Hardwood stairs lead to finished basement w/radiant in-floor heating, 2 large bedrooms, 3-piece bathroom plus walk-up to garage, huge rec room (currently work shop) featuring oversized windows & garden door walkout to 30ft x 12ft concrete patio. All this plus energy efficient hot water forced air heating, C/Air, HRV, C/Vac, gas BBQ hook-up, fully insulated/drywalled garage & more! A well built home on a premium lot just steps to new neighbourhood park & trail. Lot Size 50 x 114.82 Sq. Ft.
Site Influences Backs onto ponds and green space. 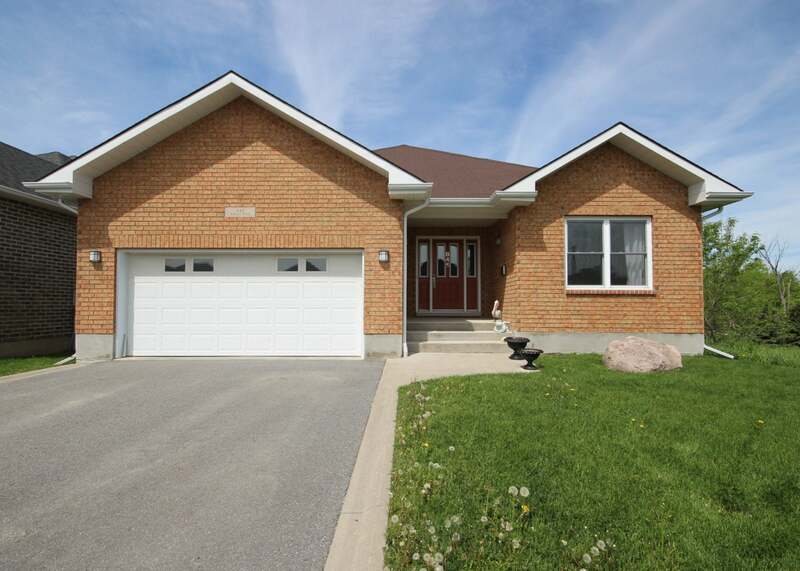 Please send me more information on 845 Roshan Drive, Ontario. Thank you.